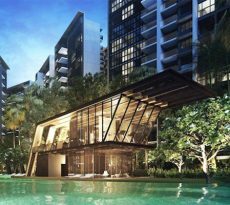 24 One Residences is a freehold luxury condo development by TEE Vista Pte Ltd, located along 241 Pasir Panjang Road in District 5. 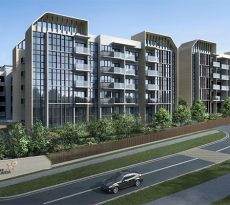 The new property launch, which sits within the 12, 934 sqm piece of land bought by the developer, will comprise a single building block with 5 storeys high and a total of 24 units. One of the key selling points of this condo development is that it’s situated in a quiet, private enclave but still remains in close proximity to educational and lifestyle amenities as well as major Central Business Districts (CBDs). The 24 One Residences will consist of a unique mix of between 2 bedroom units, 3 bedroom units and penthouses as well as 4 bedroom duplex units. Aside from high-quality sanitary fittings and kitchen appliances, each unit will feature luxurious marble flooring and not forgetting a Smart Home System. There will also be 1 car park lot for each unit. Residents of 24 One Residences will enjoy a luxurious and rewarding lifestyle, thanks to the countless number of modern facilities installed within the condo. Future residents of condo will have unlimited access to such facilities as swimming pool, Jacuzzi pool, indoor gym, BBQ pits and many more. 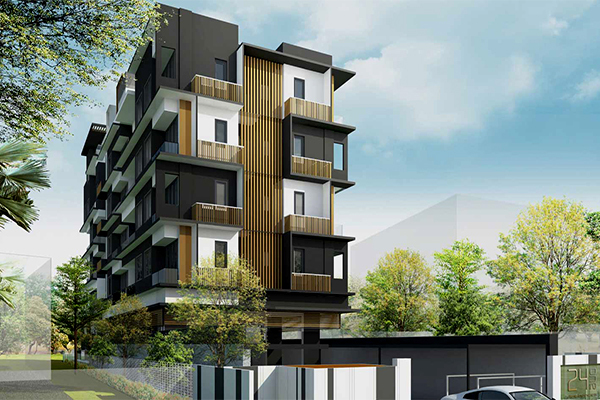 24 One Residences sits about 500 meters away from the Haw Par Villa MRT Station that operates along the Circle Line. This will make it easier for residents to reach Harbofront Center and the Buona Vista MRT Interchange, which are 4 and 3 stations away respectively. Pasir Panjang MRT and Kent Ridge MRT are also less than 4 minutes’ walk away from the residence, further increasing the convenience of accessing the CBD and other parts of Singapore. Those opting to travel by road can use the nearby West Coast Highway, the Ayer Rajah Expressway (AYE), Pan Island Expressway (PIE) and Bukit Timah Expressway (BKE). Residents wishing to enroll themselves or their children for education will never find it difficult as there are lots of schools, ranging from pre-school to university levels, scattered around the neighborhood. Some of the schools found within a distance of 3 km include Pasir Panjang Hill Chapel Kindergarten, Powerbank Kindergarten, Fairfield Methodist Primary and Anglo Chinese Junior College. Also located nearby are tertiary institutions like SP Jain School of Global Management, the National University of Singapore and the Singapore Polytechnic. Those looking for international curriculum can enroll in the Tanglin Trust School, which is just 2.2 km away from the residence. The shopping lifestyle for the residents of 24 One Residences will be as convenient as ever, thanks to the variety of shopping amenities that abound within the condo’s neighborhood. Shopping malls such as West Coast Plaza, VivoCity, Clementi Mall, Alexandra Retail Centre and Holland Village are barely 10 minutes’ drive away and offer super amazing shopping opportunities. Supermarkets located in close proximity to the residence include NTUC ARC, Cold Storage, West Coast Wet Market and Sheng Siong Supermarket. Residents can literally walk into these outlets at any time and enjoy shopping hours on end for groceries and foodstuffs. For the residents of 24 One residences, the fun wont just stop at the luxurious condo home. That’s because there are numerous lifestyle amenities found nearby that can be quite engaging in terms of outings. 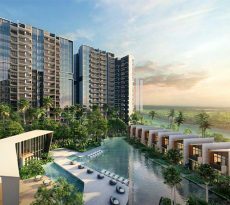 Some of these amenities include Kent Ridge Park, Telok Blangah Hill Park, West Coast Park, Keppel Bay and Tamasek Club. Going by 24 One Residence’s prime location, it’s obvious its selling price, in the run up to the launch, will be highly competitive. Currently, the indicative price for the condo is between S$1,409 and S$1,736. At iCompareLoan Mortgage broker, we understand how daunting and costly the process of looking for a home loan in Singapore can be. That’s why we seek to help you make things a little swifter for you. With a comprehensive mortgage brokerage services, you can effortlessly compare mortgage loan Singapore to identify the loan packages, interest rates and loan repayment terms that are most favorable. We’ll take you through the entire process till you secure a loan and our experts can provide consultation where needed. And the gist of working with us is that you don’t have to part with a penny, thus guaranteeing even greater value on your loan search.